I didn’t really plan on doing an MBA in 2010. I have always wanted to complete a Master’s degree, but I wasn’t sure what I wanted to do. One of the reasons why I was hesitant in doing an MBA was because I don’t have a business background. I was afraid that I would be playing catch-up throughout the whole program. I was at a career fair representing my former employer in March, and the SFU booth was down the hall from us. I went up to the representative just to see what the and I was surprised to discover that the SFU one-year MBA is designed for students with non-business undergraduate degrees, such as engineering or arts. Once I had a look through the brochure, and looked through the website, I decided I wanted to apply. I had been out of full-time school for six years, it was definitely a big change to crack open the GMAT books. I highly recommend taking a GMAT course. I took a course from Kaplan, and found the teacher extremely helpful. In addition, to class time, Kaplan has a partnership with Pearson Testing Centres, and through this partnership, Kaplan students can write up to eight practice test at your actual testing location. I found this to be hugely beneficial to me. By the time my actual write date came around, I was familiar with the staff at Pearson, and I knew the check-in procedures. These little things definitely helped to keep me calm. If a Kaplan course is not within your budget, I recommend purchasing a Kaplan book, as well as “The Official Guide for GMAT Review”. The Kaplan book will give you some test writing techniques, while the GMAT Review, published by the writers of the GMAT, gives you past test questions. 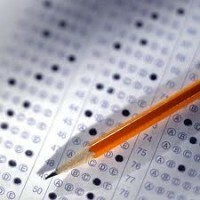 You must also take advantage of the two free online tests offered by mba.com. The format of these tests is identical to the actual test, and they will give you a relatively good gauge to what your actual score may be. Once you have written your GMAT, the rest of the application will feel like a walk in the park. Make sure you ask your referees for your reference letters long before the due date. You want to give them as much time as possible to prepare their letter. Lastly, be yourself in your self-evaluation. The admissions committee will be able to see the effort you put into your application. If you have any questions, the staff at the Segal office is always happy and willing to help!